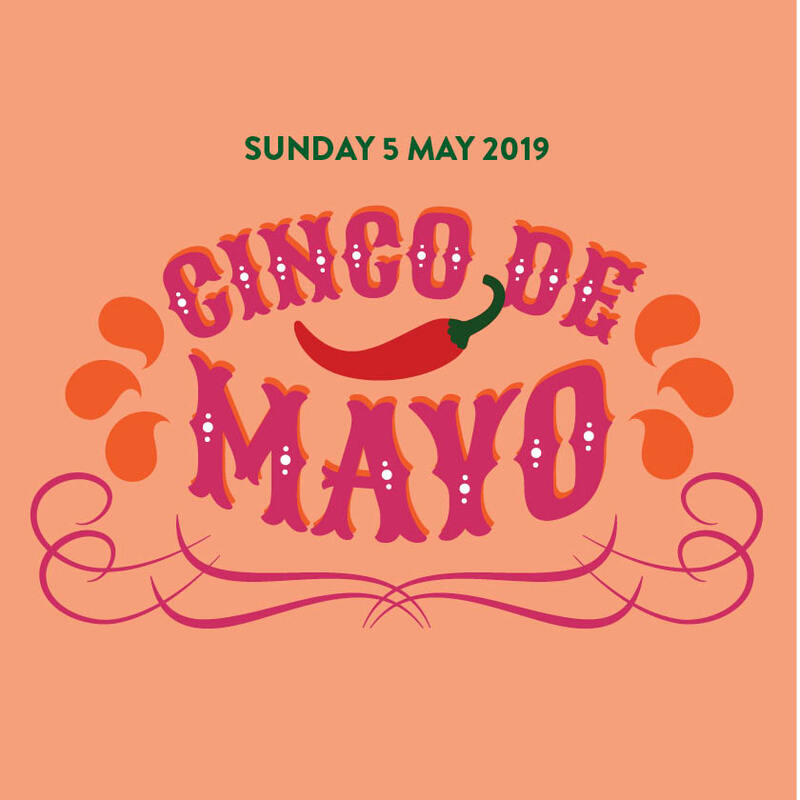 Trade your Sunday Siesta for a Sunday Fiesta this Labour Day long weekend at our Cinco De Mayo Fiesta! Arriba! Spanish for the ‘5th of May’, Cinco De Mayo conveniently falls on a long weekend this year… so you know we’re going to celebrate it! With a little help from our friends at Herradura Tequila, brush off your Sombreros and get ready to sink(o) some Margaritas. There are plenty of options when the festivities kick off Sunday 5 May, so grab your amigos and get ready to partido! Bottomless Margs tickle your fancy? Big fan of burritos? Then our Bottomless Fiesta Package is the way to go Amigo. ​BOTTOMLESS FIESTA PACKAGE: From 11am, enjoy 2 hours of bottomless Margaritas and Mexican Eats from our special Cinco De Mayo menu. No time for a Siestas as we ramp up this Fiesta with latin beats by DJ Andrés Hernández sure to have you shimmying like a pair of maracas. LATE NIGHT FREE FIESTA: From 1pm, gain FREE entry to the Cinco De Mayo celebrations as we kick on till late! Pair your frozen margaritas with some latino beats as Mr Sparkles, Jason Rouse, and Matt Kitshon carry the celebrations well into the night.